Thank you for following our Back to Your Future blog. 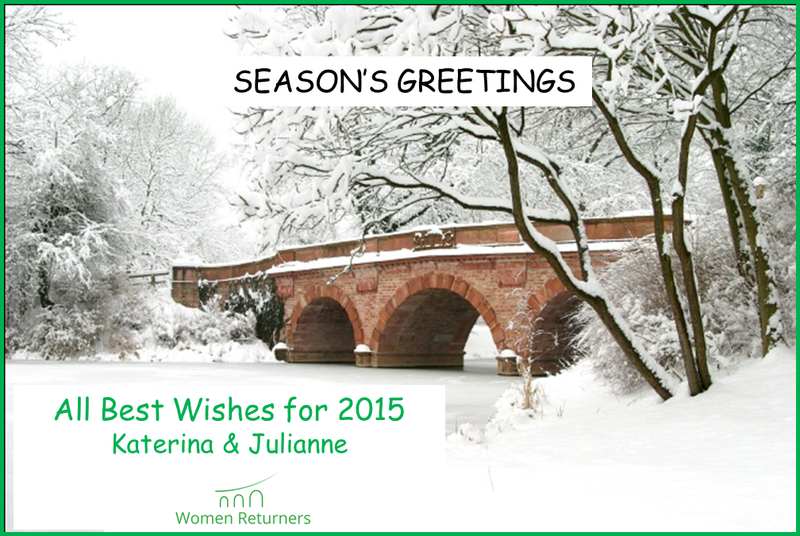 We hope that we have been a source of advice, support and inspiration to you during 2014. If you're a returning professional, we now have other ways of connecting with you. If you haven't already done so, do join our Women Returners Professional Network for up-to-date news and information and join our new Linked In group to participate in return-to-work discussions and to connect with other returners. We're taking a festive break for a few weeks and will be back in 2015! Did you opt out or were you pushed out?